These sandwiches easily fit into pants pockets, or pack pockets. They’re that convenient. 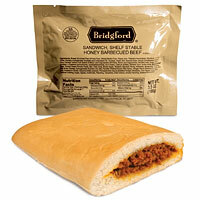 What are Bridgeford Pocket Sandwiches? They are ready-to-eat, 3 to 3.5 oz sandwiches that require no refrigeration, come in 5 different varieties, and have a 3 year shelf-life if properly stored. These pocket sandwiches require no prep, though they can be heated with a flameless ration heater, boiling water, microwave, or toaster oven. 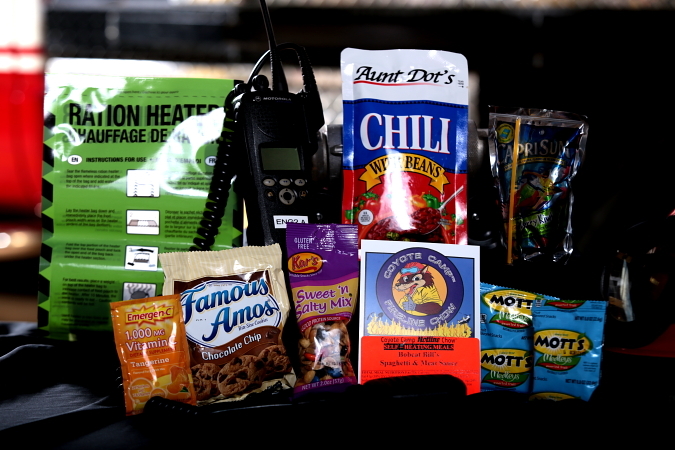 They are compact and tasty, ,and are ideal for any type of emergency services operation including FIRE, EMS, SAR, USAR, and ENFORCEMENT. They are also ideally suited for CAMPING, HUNTING, FISHING, HIKING, BOATING, and HOUSEHOLD EMERGENCY KITS.